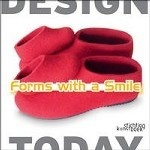 Аннотация к книге "Forms with a Smile. Design Today (English, Dutch)"
Surrealism may be known as an art form mainly, but its influence on other domains of society cannot be underestimated. The world of contemporary design does not escape a healthy portion of surreal humour either. Forms with a Smile bundles designs and objects of contemporary surrealists and shows that nothing is what it seems. Flying carpets, lamps with wigs, USB syringes, armchairs made of cuddly Is it just humour? Or is it a stimulating statement wrapped in a contagious smile? Like surrealism, design is sometimes more telling than we presume. Armed with subtle irony, the new design surrealists engage into combat with a world in which sobriety remains the norm. Формат: 23 см x 23 см.